The magus’s class skills are Climb (Str), Craft (Int), Fly (Dex), Intimidate (Cha), Knowledge (arcana) (Int), Knowledge (dungeoneering) (Int), Knowledge (planes) (Int), Profession (Wis), Ride (Dex), Spellcraft (Int), Swim (Str), and Use Magic Device (Cha). A magus is proficient with all simple and martial weapons. A magus is also proficient with light armor. He can cast magus spells while wearing light armor without incurring the normal arcane spell failure chance. Like any other arcane spellcaster, a magus wearing medium armor, heavy armor, or a shield incurs a chance of arcane spell failure if the spell in question has a somatic component. A multiclass magus still incurs the normal arcane spell failure chance for arcane spells received from other classes. A magus casts arcane spells drawn from the magus spell list. A magus must choose and prepare his spells ahead of time. To learn, prepare, or cast a spell, the magus must have an Intelligence score equal to at least 10 + the spell level. The Difficulty Class for a saving throw against a magus’s spell is 10 + the spell level + the magus’s Intelligence modifier. A magus can cast only a certain number of spells of each spell level per day. His base daily spell allotment is given on Table: Magus. In addition, he receives bonus spells per day if he has a high Intelligence score. Cantrips: A magus can prepare a number of cantrips, or 0-level spells, each day, as noted on Table: Magus under “Spells per Day.” These spells are cast like any other spell, but they are not expended when cast and may be used again. Spellbooks: A magus must study his spellbook each day to prepare his spells. He cannot prepare any spell not recorded in his spellbook except for read magic, which all magi can prepare from memory. A magus begins play with a spellbook containing all 0-level magus spells plus three 1st-level magus spells of his choice. The magus also selects a number of additional 1st-level magus spells equal to his Intelligence modifier to add to his spellbook. At each new magus level, he gains two new magus spells of any spell level or levels that he can cast (based on his new magus level) for his spellbook. At any time, a magus can also add spells found in other spellbooks to his own. A magus can learn spells from a wizard’s spellbook, just as a wizard can from a magus’s spellbook. The spells learned must be on the magus spell list, as normal. An alchemist can learn formulae from a magus’s spellbook, if the spells are also on the alchemist spell list. A magus cannot learn spells from an alchemist. At 1st level, the magus gains a reservoir of mystical arcane energy that he can draw upon to fuel his powers and enhance his weapon. This arcane pool has a number of points equal to 1/2 his magus level (minimum 1) + his Intelligence modifier. The pool refreshes once per day when the magus prepares his spells. Adding these properties consumes an amount of bonus equal to the property’s base price modifier. These properties are added to any the weapon already has, but duplicates do not stack. If the weapon is not magical, at least a +1 enhancement bonus must be added before any other properties can be added. These bonuses and properties are decided when the arcane pool point is spent and cannot be changed until the next time the magus uses this ability. These bonuses do not function if the weapon is wielded by anyone other than the magus. Can a magus use spell combat with cantrips? Yes. It is not limited to spells of level 1 or higher. Does spell combat count as making a full attack action for the purpose of haste and other effects? Yes (revised 9/9/13) This is a revised ruling about how haste interacts with effects that are essentially a full attack, even though the creature isn't specifically using the full attack action (as required by haste). The earlier ruling did not allow the extra attack from haste when using spell combat. Can a magus use spellstrike to cast a touch spell, move, and make a melee attack with a weapon to deliver the touch spell, all in the same round? Yes. Other than deploying the spell with a melee weapon attack instead of a melee touch attack, the magus spellstrike ability doesn’t change the normal rules for using touch spells in combat. So, just like casting a touch spell, a magus could use spellstrike to cast a touch spell, take a move toward an enemy, then (as a free action) make a melee attack with his weapon to deliver the spell. On a related topic, the magus touching his held weapon doesn’t count as “touching anything or anyone” when determining if he discharges the spell. A magus could even use the spellstrike ability, miss with his melee attack to deliver the spell, be disarmed by an opponent (or drop the weapon voluntarily, for whatever reason), and still be holding the charge in his hand, just like a normal spellcaster. Furthermore, the weaponless magus could pick up a weapon (even that same weapon) with that hand without automatically discharging the spell, and then attempt to use the weapon to deliver the spell. However, if the magus touches anything other than a weapon with that hand (such as retrieving a potion), that discharges the spell as normal. Basically, the spellstrike gives the magus more options when it comes to delivering touch spells; it’s not supposed to make it more difficult for the magus to use touch spells. If I use spell combat, how many weapon attacks can I make? You can make as many weapon attacks as you would normally be able to make if you were making a full attack with that weapon. For example, if you are an 8th-level magus (BAB +6/+1), you could make two weapon attacks when using spell combat. This is a revised ruling about how haste interacts with effects that are essentially a full attack, even though the creature isn't specifically using the full attack action (as required by haste). The earlier ruling implied that spell combat did not allow the extra attack from haste (because spell combat was not using the full attack action). If I cast a spell that allows multiple touch attacks, can I deliver all of those spell touches through my weapon? Yes. For example, if you cast chill touch (which allows multiple touch attacks), you could use spellstrike to cast and deliver the spell through your weapon, and in later weapon attacks you could use your weapon to deliver the remaining spell touch attacks (one spell touch attack per weapon attack). If you have multiple attacks per round with that weapon (such as from having a BAB of +6 or higher), you can use the weapon to deliver multiple spell touch attacks per round, so long as you have uses of that spell touch attack remaining. For example, if you are an 8th-level magus (BAB +6/+1) and you cast chill touch, you have up to 8 uses of that spell touch attack. If you make two weapon attacks in a round, you can deliver two spell touch attacks per round (one for each successful weapon attack). At 1st level, a magus learns to cast spells and wield his weapons at the same time. This functions much like two-weapon fighting, but the off-hand weapon is a spell that is being cast. 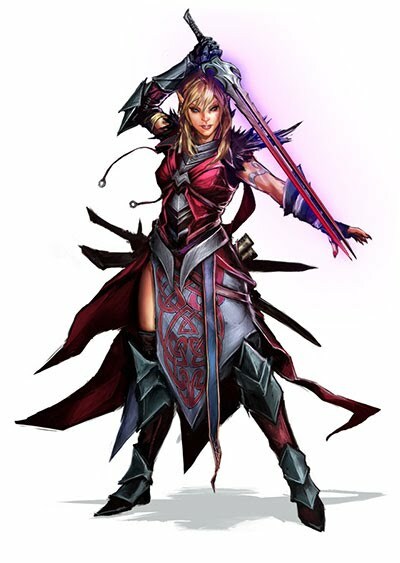 To use this ability, the magus must have one hand free (even if the spell being cast does not have somatic components), while wielding a light or one-handed melee weapon in the other hand. As a full-round action, he can make all of his attacks with his melee weapon at a –2 penalty and can also cast any spell from the magus spell list with a casting time of 1 standard action (any attack roll made as part of this spell also takes this penalty). If he casts this spell defensively, he can decide to take an additional penalty on his attack rolls, up to his Intelligence bonus, and add the same amount as a circumstance bonus on his concentration check. If the check fails, the spell is wasted, but the attacks still take the penalty. A magus can choose to cast the spell first or make the weapon attacks first, but if he has more than one attack, he cannot cast the spell between weapon attacks. See FAQ at right for more information. As he gains levels, a magus learns arcane secrets tailored to his specific way of blending martial puissance and magical skill. Starting at 3rd level, a magus gains one magus arcana. He gains an additional magus arcana for every three levels of magus attained after 3rd level. Unless specifically noted in a magus arcana’s description, a magus cannot select a particular magus arcana more than once. Magus arcana that affect spells can only be used to modify spells from the magus spell list unless otherwise noted. At 4th level, the magus learns to use his arcane pool to recall spells he has already cast. With a swift action he can recall any single magus spell that he has already prepared and cast that day by expending a number of points from his arcane pool equal to the spell’s level (minimum 1). The spell is prepared again, just as if it had not been cast. At 5th level, and every six levels thereafter, a magus gains a bonus feat in addition to those gained from normal advancement. These bonus feats must be selected from those listed as combat, item creation, or metamagic feats. He must meet the prerequisites for these feats as normal. At 7th level, when a magus prepares his magus spells, he can decide to expend 1 or more points from his arcane pool, up to his Intelligence bonus. For each point he expends, he can treat any one spell from the magus spell list as if it were in his spellbook and can prepare that spell as normal that day. If he does not cast spells prepared in this way before the next time he prepares spells, he loses those spells. He can also cast spells added in this way using his spell recall ability, but only until he prepares spells again. At 7th level, a magus gains proficiency with medium armor. A magus can cast magus spells while wearing medium armor without incurring the normal arcane spell failure chance. Like any other arcane spellcaster, a magus wearing heavy armor or using a shield incurs a chance of arcane spell failure if the spell in question has a somatic component. At 8th level, the magus’s ability to cast spells and make melee attacks improves. When using the spell combat ability, the magus receives a +2 circumstance bonus on concentration checks, in addition to any bonus granted by taking an additional penalty on the attack roll. Starting at 10th level, a magus counts 1/2 his total magus level as his fighter level for the purpose of qualifying for feats. If he has levels in fighter, these levels stack. At 11th level, the magus’s ability to recall spells using his arcane pool becomes more efficient. Whenever he recalls a spell with spell recall, he expends a number of points from his arcane pool equal to 1/2 the spell’s level (minimum 1). Furthermore, instead of recalling a used spell, as a swift action the magus can prepare a spell of the same level that he has in his spellbook. He does so by expending a number of points from his arcane pool equal to the spell’s level (minimum 1). The magus cannot apply metamagic feats to a spell prepared in this way. The magus does not need to reference his spellbook to prepare a spell in this way. At 13th level, a magus gains proficiency with heavy armor. A magus can cast magus spells while wearing heavy armor without incurring the normal arcane spell failure chance. Like any other arcane spellcaster, a magus using a shield incurs a chance of arcane spell failure if the spell in question has a somatic component. At 14th level, the magus gains the ability to seamlessly cast spells and make melee attacks. Whenever he uses the spell combat ability, his concentration check bonus equals double the amount of the attack penalty taken. At 16th level, whenever an enemy within reach of the magus successfully casts a spell defensively, that enemy provokes an attack of opportunity from the magus after the spell is complete. This attack of opportunity cannot disrupt the spell. 0-level, 1st-level, 2nd-level, 3rd-level, 4th-level, 5th-level, and 6th-level. He can ignore the somatic component of these spells, casting them without the normal chance of spell failure. At 20th level, the magus becomes a master of spells and combat. Whenever he uses his spell combat ability, he does not need to make a concentration check to cast the spell defensively. Whenever the magus uses spell combat and his spell targets the same creature as his melee attacks, he can choose to either increase the DC to resist the spell by +2, grant himself a +2 circumstance bonus on any checks made to overcome spell resistance, or grant himself a +2 circumstance bonus on all attack rolls made against the target during his turn. Magi often defy expectations. Many are mistaken for rogues and swashbucklers dabbling in minor magic, often to their opponents’ detriment. Clerics, oracles and wizards often view these spellcasters with a degree of mistrust, as they seldom understand the nature or—more importantly—the source of magi’s arcane power. This is especially true of the rare magi who dabble in hexcraft or carry strange sentient blades with alien goals and an ever-increasing lust for power. To more formulaic or hierarchal spellcasting traditions, such powers can only mean meddling from beings beyond mortal understanding. Monks and sorcerers are often more accepting of magi, as they know that life energy and magic are more powerful than formulae and devotion would dictate, and see magi as fellow travelers on the road toward power, if not wisdom. Because of the magi’s flexibility, it is rare to find two who practice their arcane arts in exactly the same way, giving rise to many different organizations, disciplines, and tactics.